Hi Frugalistas! I’m not a religious person. In fact I’m a card carrying atheist. 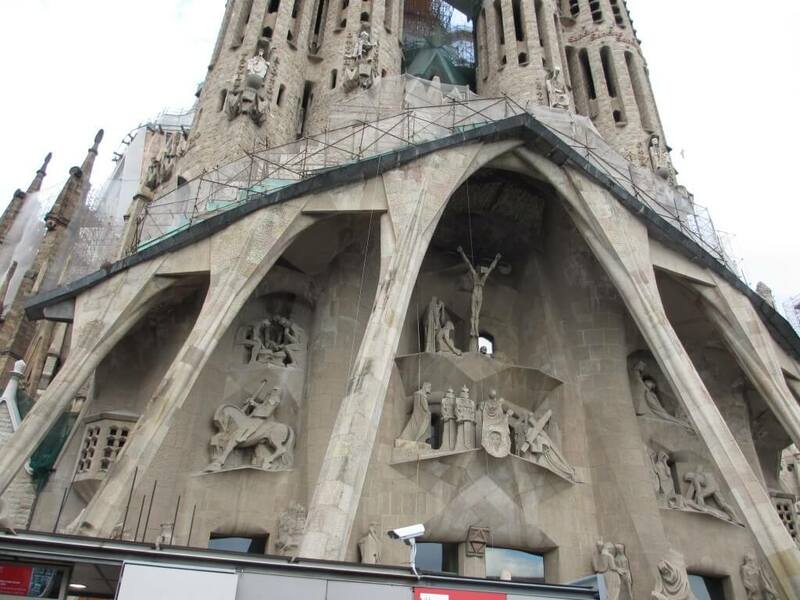 But I couldn’t help but be so moved when I recently visited the Sagrada Familia – the Gaudi designed Basilica in Barcelona. Building has been underway for over 100 years now, and there are plans (hopes?) 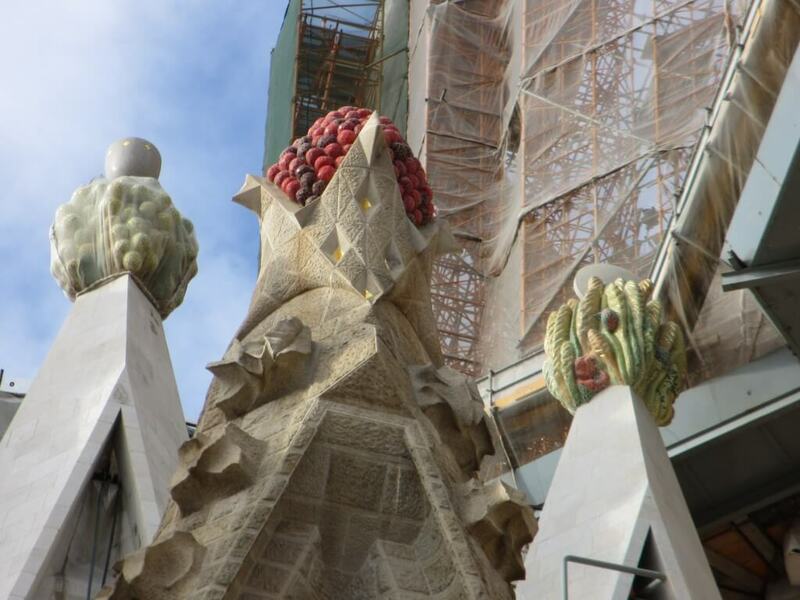 to complete the works in time for the centenary of Gaudi’s death in 2026. 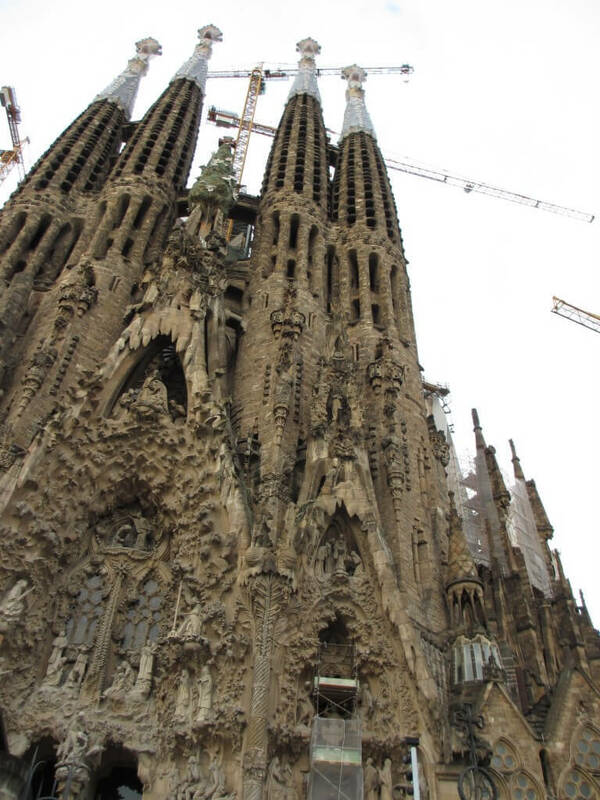 Gaudi knew the church would never be completed in his own lifetime, but he did it anyway. He needed to rely on others to continue his work, and to continue to interpret his detailed drawings in accordance with his vision. Not just architects and engineers, but stonemasons, builders….hundreds of people over the years. Gaudi had complete faith in his design – which must have seemed radical, if not frankly bizarre to 19th century eyes. His vision was strong and individual – how could he possibly imagine what the finished product would look like and how people would respond to it. 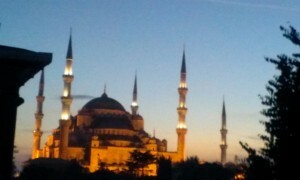 Spires and a facade that from a distance appears to drip like a candle – who could imagine? 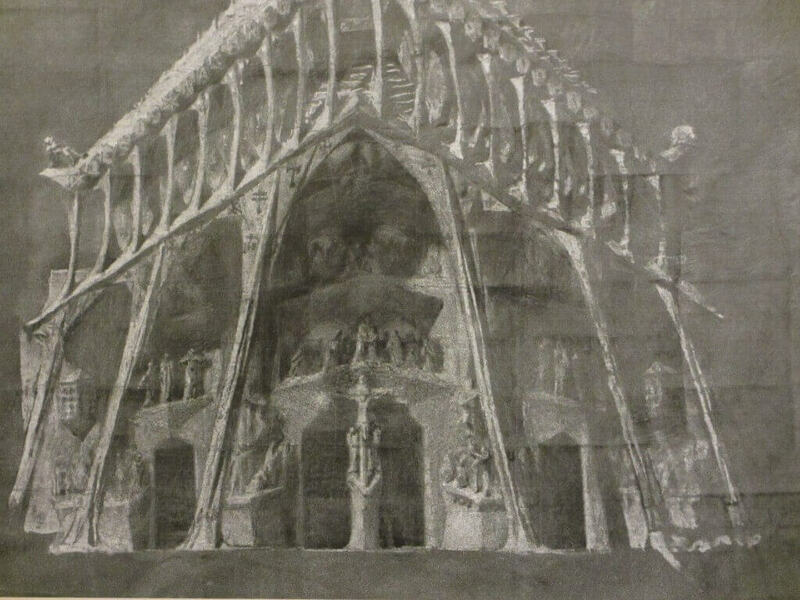 Faith that technology would hold his vision in good stead – Gaudi could not possibly have conceived of what technology was to come and how this would affect the final design and the final experience of the interiors. Modern lighting and modern materials make for a stunning result. Faith in nature. 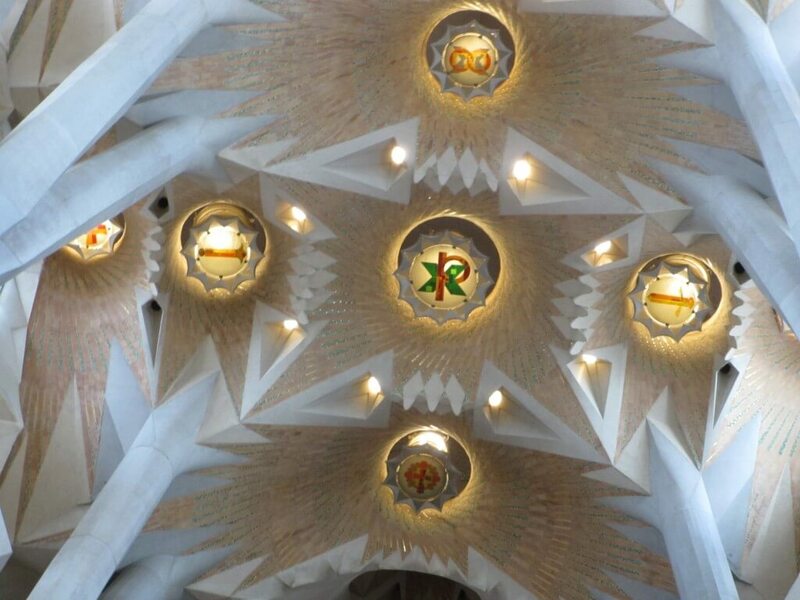 Gaudi was deeply influenced by nature – it was artistically perfect (in God’s image, perhaps in Gaudi’s mind), but he also understood that nature was the key to the engineering challenges he faced. The interior of the church is based on a forest. The fruit motives decorating spires are just plain fun, and quartz motifs dance with light. And the faith continues. 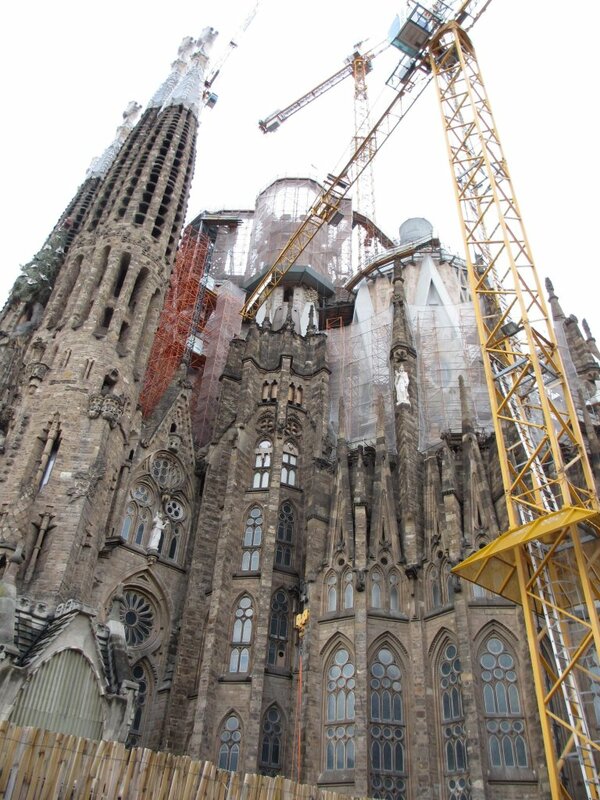 While the interior of the church is completed and it was consecrated a Basilica in 2010, building the exterior continues – this includes the massive central spire which is just emerging from the centre of the site. Most of workers on the site donate their time – whether it is an act of religious faith, or faith in the project is irrelevant – it is faith completing this glorious project. Financing for the building comes from entry fees and donations – faith in the project keeps it progressing towards completion. 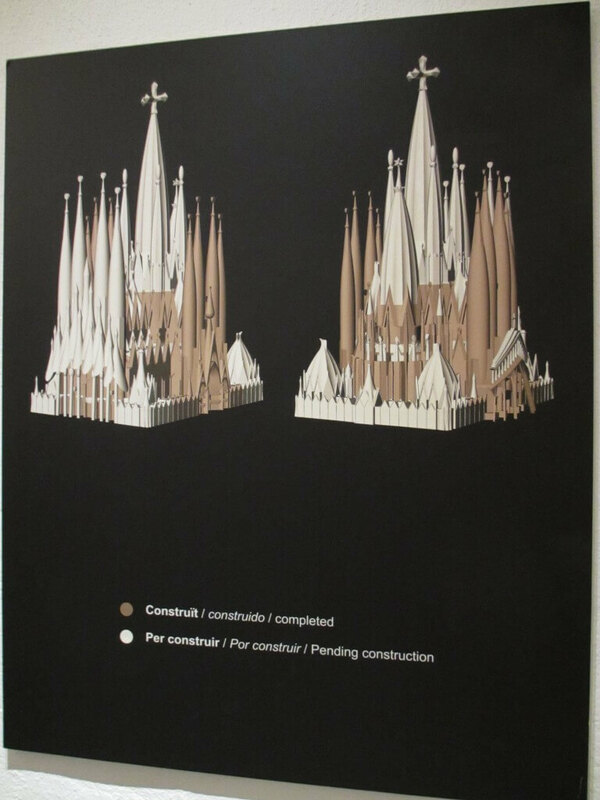 Gaudi’s drawings for one of the facades…..
Visit the Sagrada Familia and contribute to this massive project of faith – regardless of what and where your faith lies. It is a stunning building, dramatic, overwhelming and extraordinary. The only thing I would say though is, don’t have faith in your ability to just roll up and wander in. Queues are massive regardless of the time of day – so prebook a timed entry ticket online and jump the queue. You can stay as long as you like, and the museum in the basement telling the fantastic story of this beautiful building is well worth the visit. 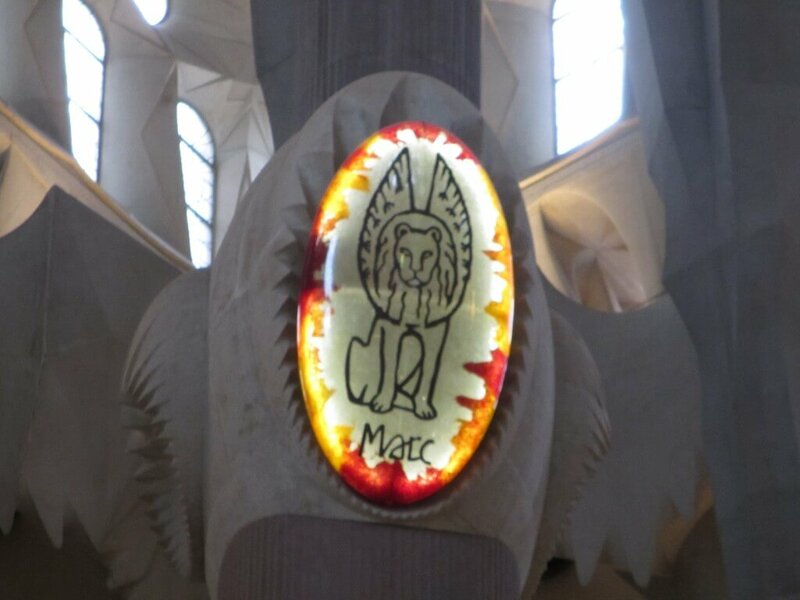 Disclaimer: the author paid for, and arranged her own visit to the Sagrada Familia. Thank you for this post. 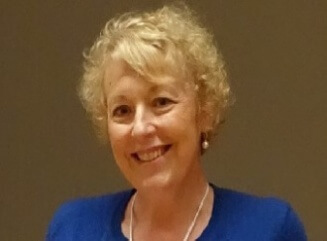 We are planning a holiday in Barcelona (a home exchange) in February. and Gaudi is obviously on top of the list. What part of the city would you suggest we aim at for our accommodation? We like to walk as much as we can. 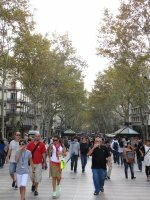 If you like Gaudi, aim for somewhere around the avenue of discord or around the placa de Catalunya area. You can walk to most of the main tourist sites from around there. I stayed in a hotel on the Grande Via and found it a perfect location – I’m also a walker. I’m glad you enjoyed it and thanks so much for taking the time to let me know. Isn’t it impressive! I really want to go back to Barcelona one day!! Me too! Still so much I haven’t seen, despite having visited twice now. Next time I’d also love to do a trip north to Figueres to the Dali museum, and then perhaps head up into France and beautiful Collioure. It’s on my list to visit, so beautiful ! 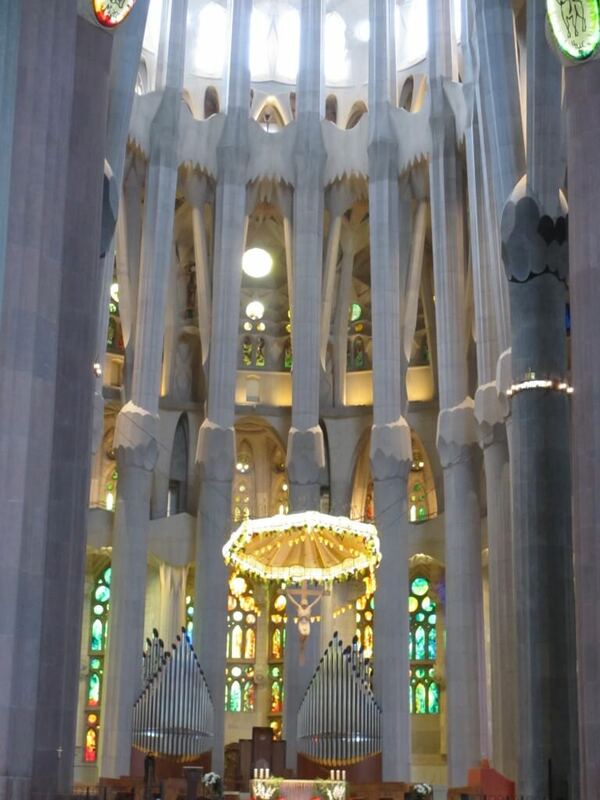 I agree completely, visiting the Sagrada Familia was a very moving and fascinating experience. We had to pull ourselves away. When traveling in Europe you get so used to dark, gothic, very serious cathedrals and then you walk into Sagrada Familia so full of light — you can’t help but me moved. Glad you made it through the tourists to view the real spectacle.